Strathcona County, Alberta – On October 29, 2018 at approximately 6:30 a.m. Strathcona County RCMP responded to a theft from motor vehicle. Suspects stole several items from the complainant’s vehicle. As a result of the investigation a search warrant was executed at a residence in the Foxboro area of Sherwood Park. During the search several items were located and seized including wallets, credit cards, laptops, keys and garage door openers. Jason James KEITH age, 37 of Sherwood Park, Alberta has been charged with twenty-two counts of possession of stolen property under $5000.00 and seventeen counts of fail to comply with probation order. KEITH was released on a recognizance and is scheduled to appear in Sherwood Park Provincial Court on Wednesday November 14, 2018 at 9:30 a.m.
Police continue their investigation to determine if further charges are warranted in this matter. Strathcona County RCMP encourages motorists to make a nightly routine of checking their vehicle before heading to bed. 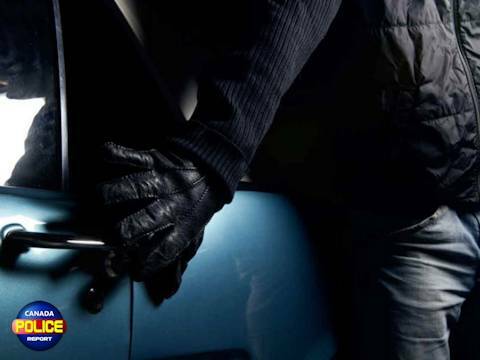 By ensuring the doors are locked, windows are up, and valuables have been brought inside their residence, motorists can help decrease the chance of a theft occurring. If you have any information about this, or any other crime, please call the Strathcona County RCMP at (780) 467-7741, or call your local police detachment. If you want to remain anonymous, you can contact Crime Stoppers by phone at 1-800-222-8477 (TIPS) or by internet at www.tipsubmit.com or by SMS (check your local Crime Stoppers www.crimestoppers.ab.ca for instructions).